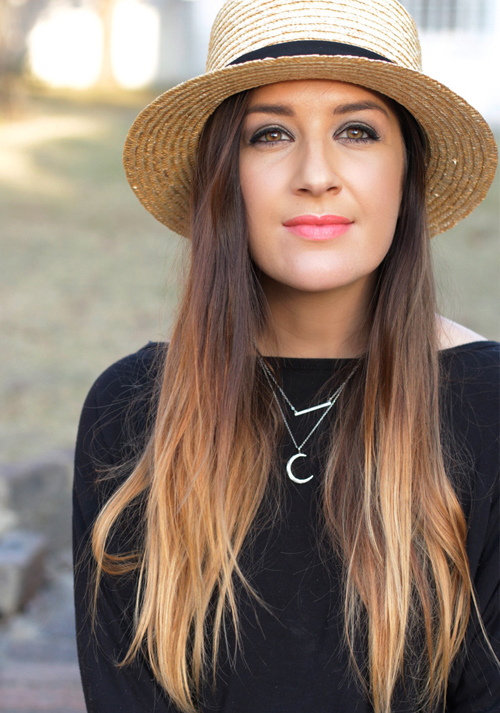 If you’re looking for something super cool to try this weekend, I’ve got you covered! 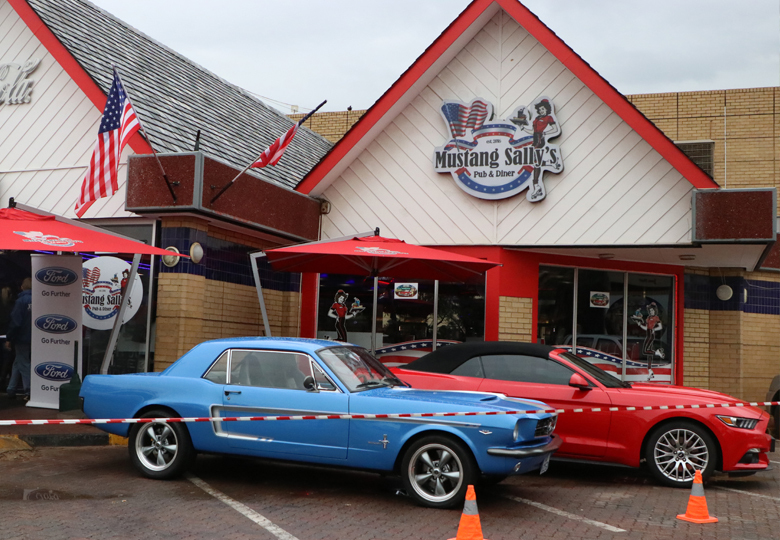 Just put on your cowboy boots (ok, you don’t really need cowboy boots) and head North to Mustang Sally’s, the coolest, retro, pub and diner Gauteng has ever seen! It’s off the charts! 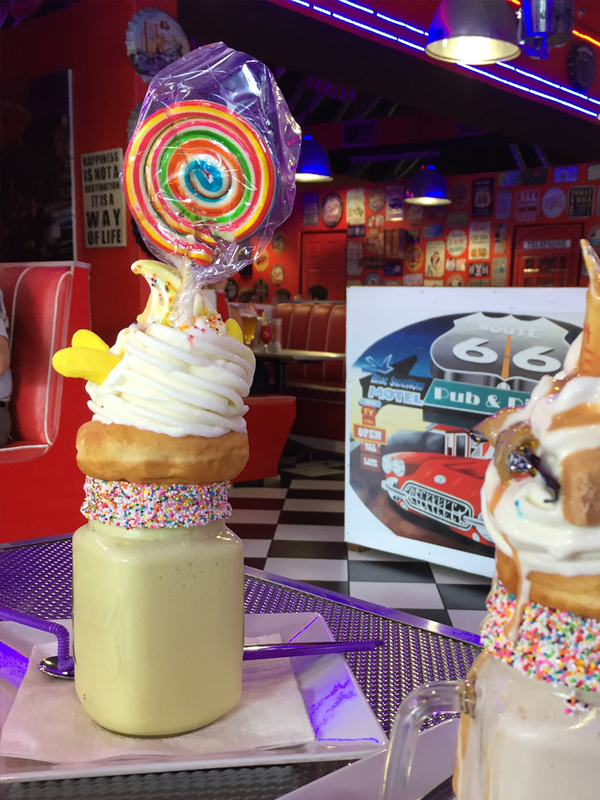 With milkshakes that will blow your mind, and food that’s so yummy and loaded, you probably won’t have room for dessert! My regular readers will know that I think nothing goes better together quite like Mustangs and Milkshakes. 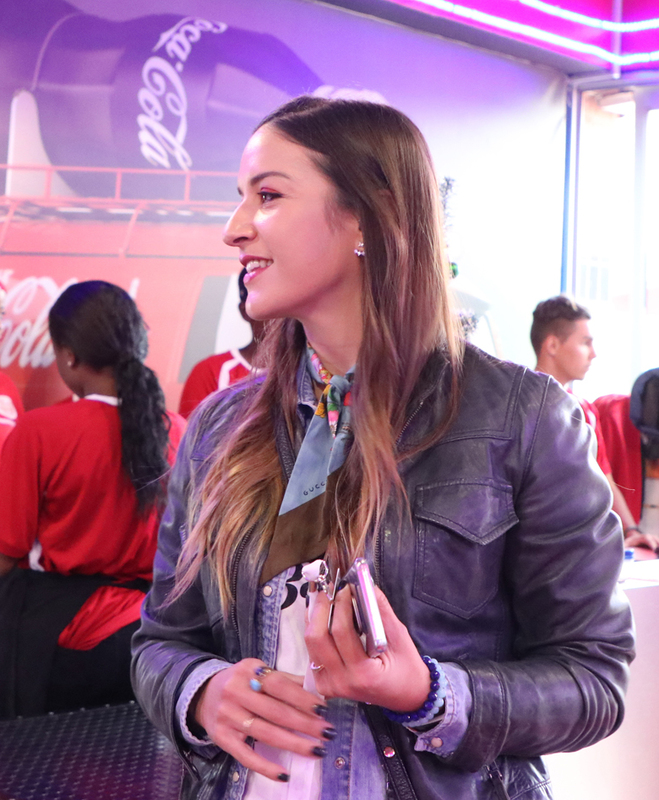 The two are made for each other, and I got to experience the true American spirit at an authentic American diner! Last month the awesome folk of Ford South Africa, treated a bunch of us to a day of Mustang. 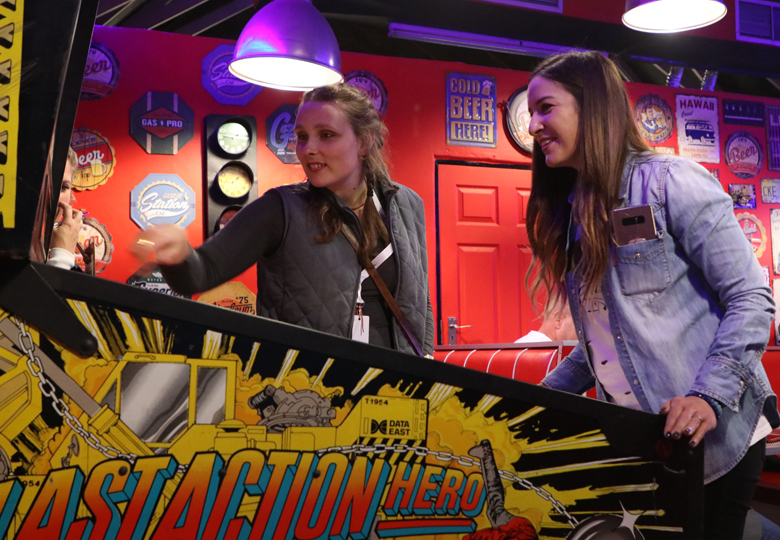 We got to eat burgers, gobble down killer shakes, play pin ball, have fun, and of course admire the beauty that is the gorgeous Ford Mustang. If you’re a true fan of the leanest, meanest muscle machine on the road, then you know that blue retro-beaut parked out front is T-H-E true icon. 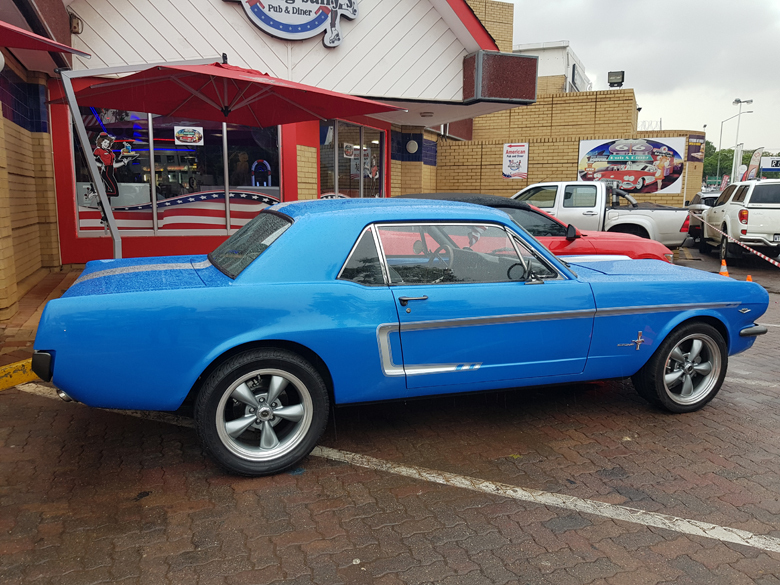 That my friends, is the original Mustang – the Mustang 1964.5 (because the first model was released in the middle of the year 1964) and at over 50 years old, she still has the power to pull on your heart strings! Anyway, enough drooling over the cars… I took my hubby back to Mustang Sally’s and he loved it too! 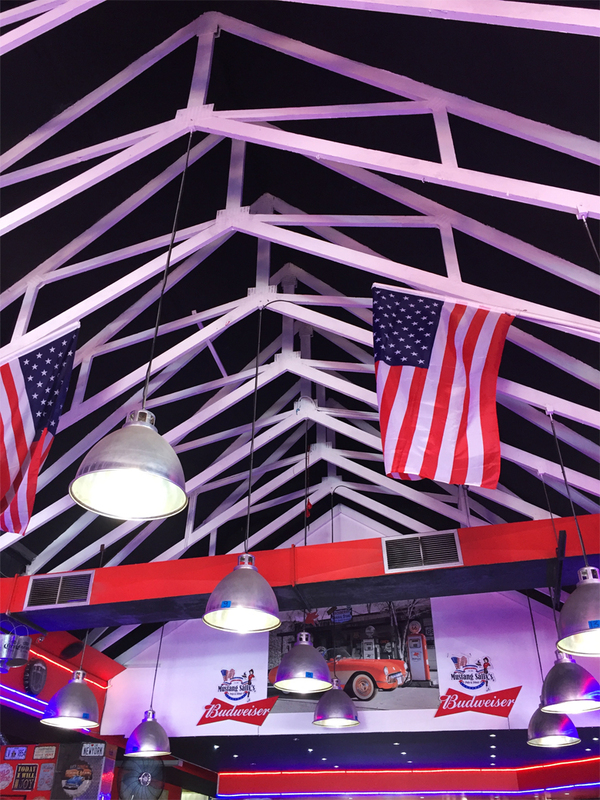 Besides the rad American decor and authentic feel, why should you go? Of course! They don’t mess around with the food, that’s for sure! The portion sizes are HUGE! 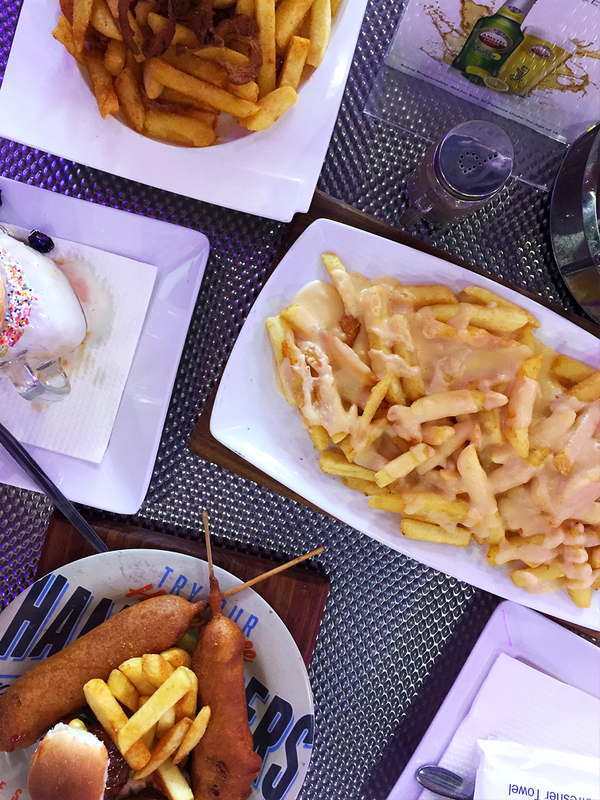 If you’ve never had a corn dog before, trust me when I say, Mustang Sally’s is the place you’ll want get your first bite! Hubby recommends the Miss Piggy Porker Burger, which is an eisbein loaded burger and so gigantic, he couldn’t finish it! Something I’ve never seen in all my life haha! Although, It’s likely that our Frenzy Shakes filled us up. 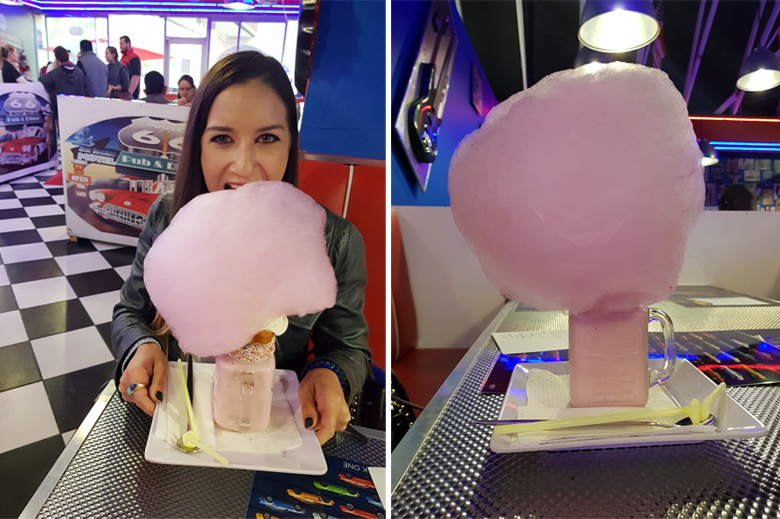 I tried this OTT shake (above) at the Ford Mustang Lunch, and just look at the size of that cotton candy on top! It was bigger than my head! No Joke! On Round #2, I went for the Fudge Toffee Frenzy Shake! Besides the donut and sprinkles and ice-cream, it was embellished with bits of fudge and toffee sweets all over! 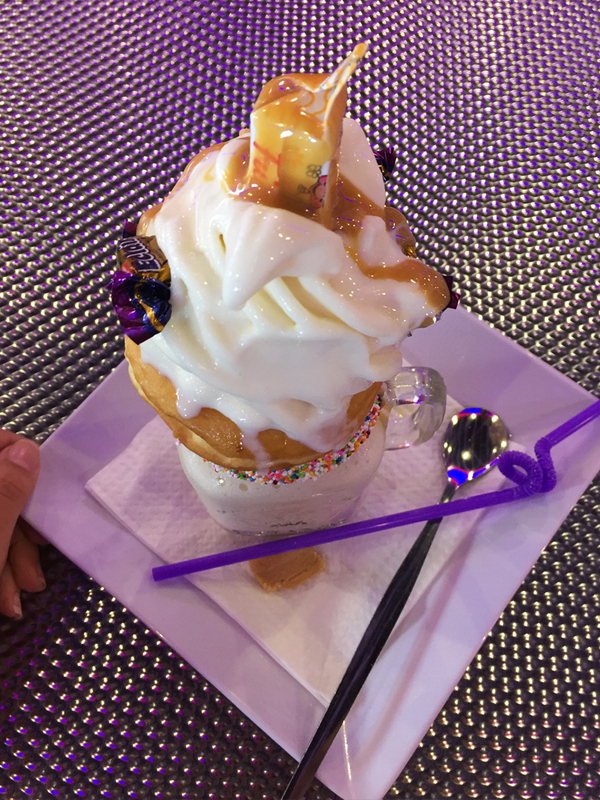 Le Hubs had the Banana Crunch Frenzy Shake, and can we just admire how beautifully their shakes are decorated?! Our total meal came to R319 for two, which was really not bad! I mean, we had lunch (there) and dinner (with our takeaways at home). Also, we didn’t need the extra plate of chips, but ya know – greed! If your tummy is grumbling, then Mustang Sally’s will hit the spot! I also want to experience their cocktails – one day when we Uber our way to Mustang Sally’s – While we were there, some chicky got this fancy shmancy drink in a flower vase fish bowl (not kidding), with an upside Corona bottle sticking out! I want to try that! I’m sure it will quite literally, knock me off my feet! 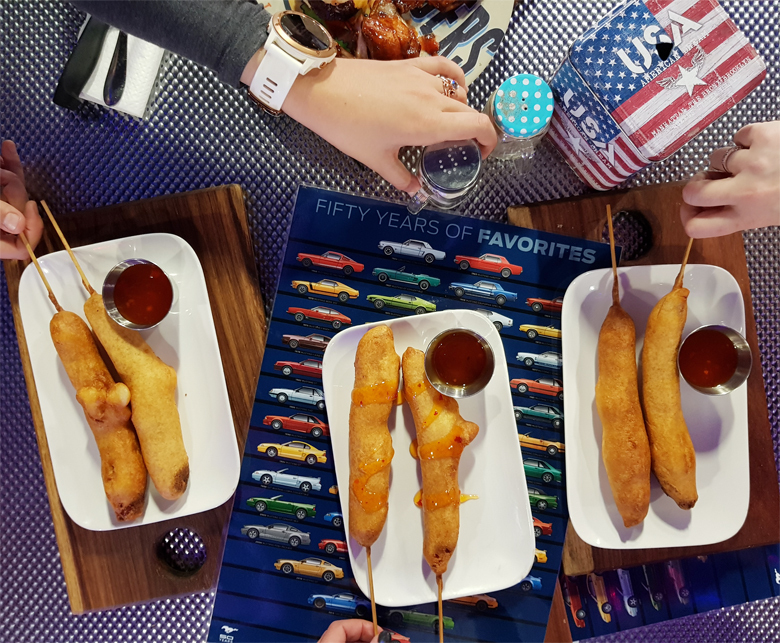 Thanks to Ford for an awesome American experience, and when I’m unable to fit into my dream machine one day, I’ll blame you for introducing me to those Corn Dogs at Mustang Sally’s hehe!